In a small bowl, combine Italian seasoning, Ranch seasoning, and gravy mix. Blend. Prick the entire roast with a fork. 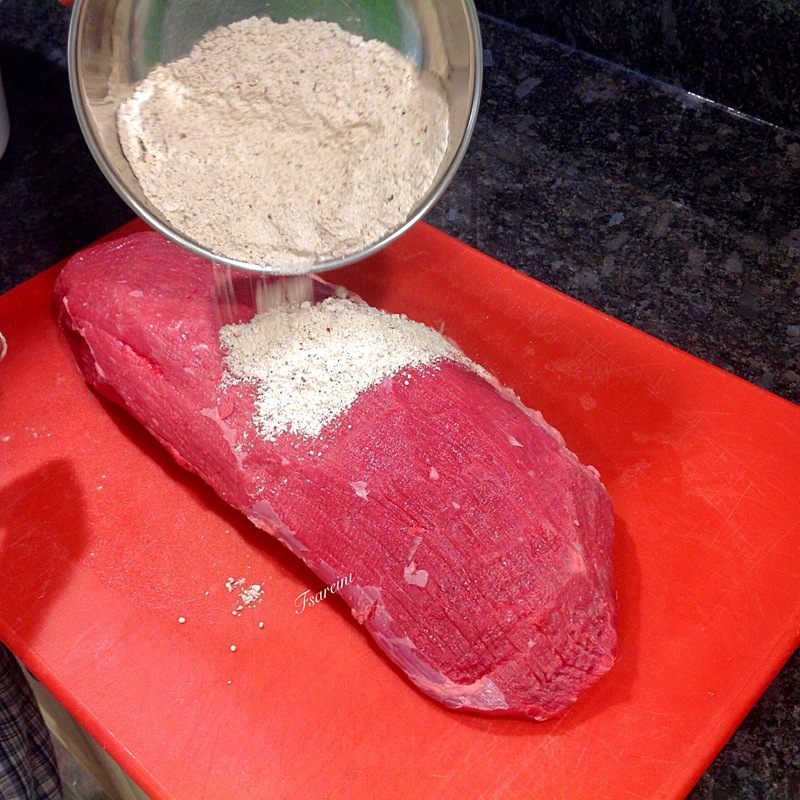 Rub the dried mix on roast. 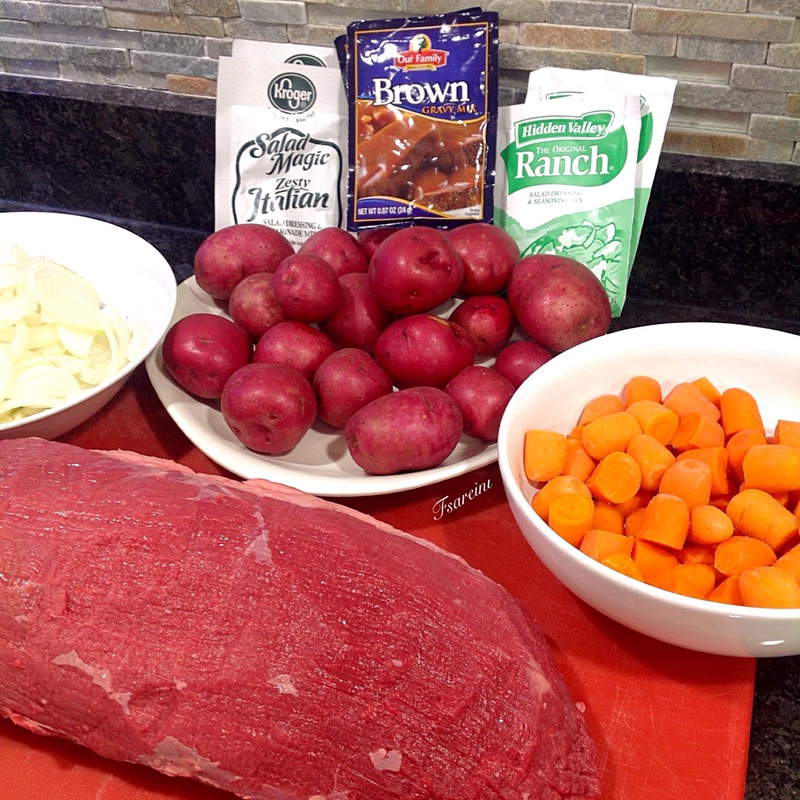 Place seasoned chuck roast on potatoes. 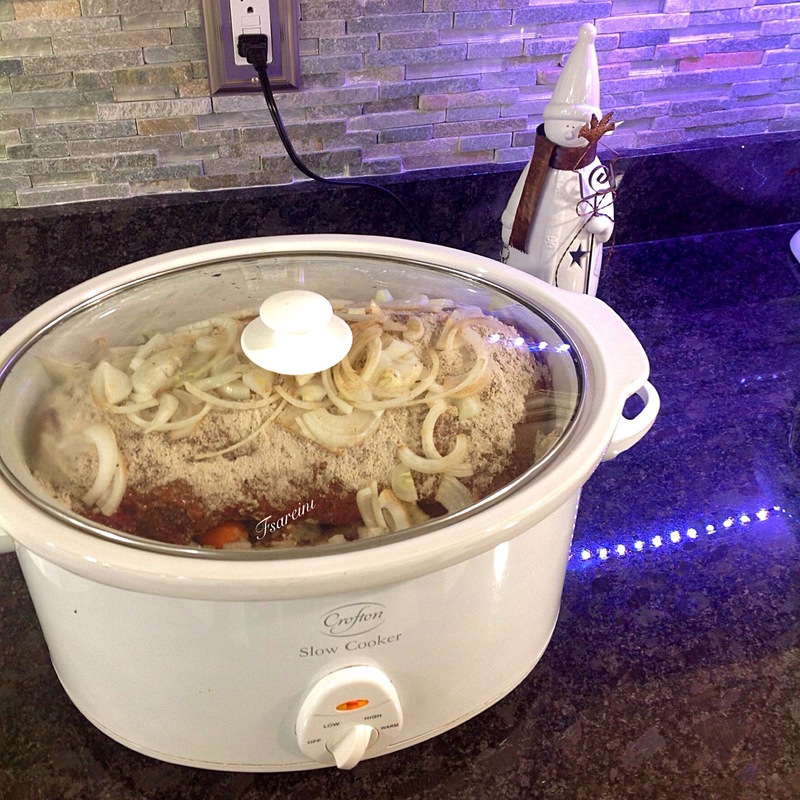 Cover and cook on high for 6 hours or 8 hours on low. 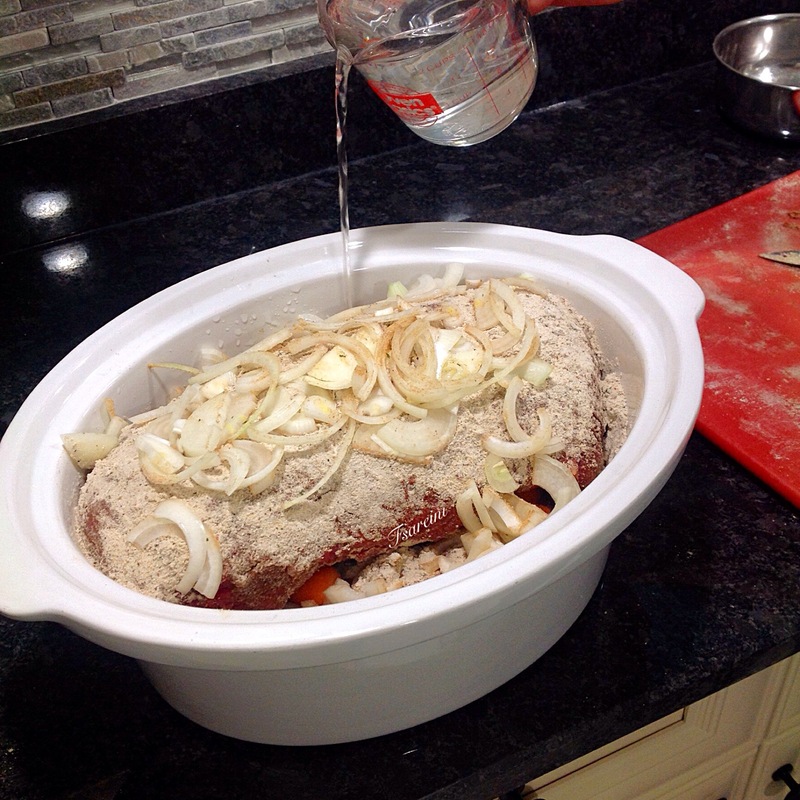 Roast should have an internal temperature of 145ºF. Garnish with chopped parsley. Serve. Tip: For a thicker sauce, remove roast and potatoes and transfer to a platter. Pour the cooking juices into a sauce pan. Stir together 3 tablespoon cornstarch and 3 tablespoon cold water. 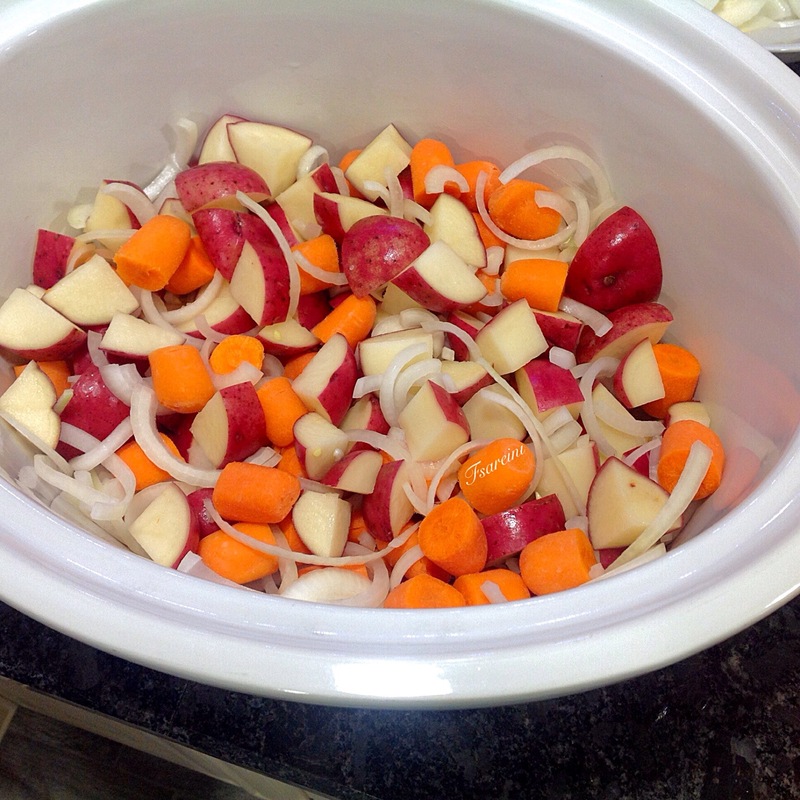 Bring sauce to a boil and whisk cornstarch mixture into boiling sauce. 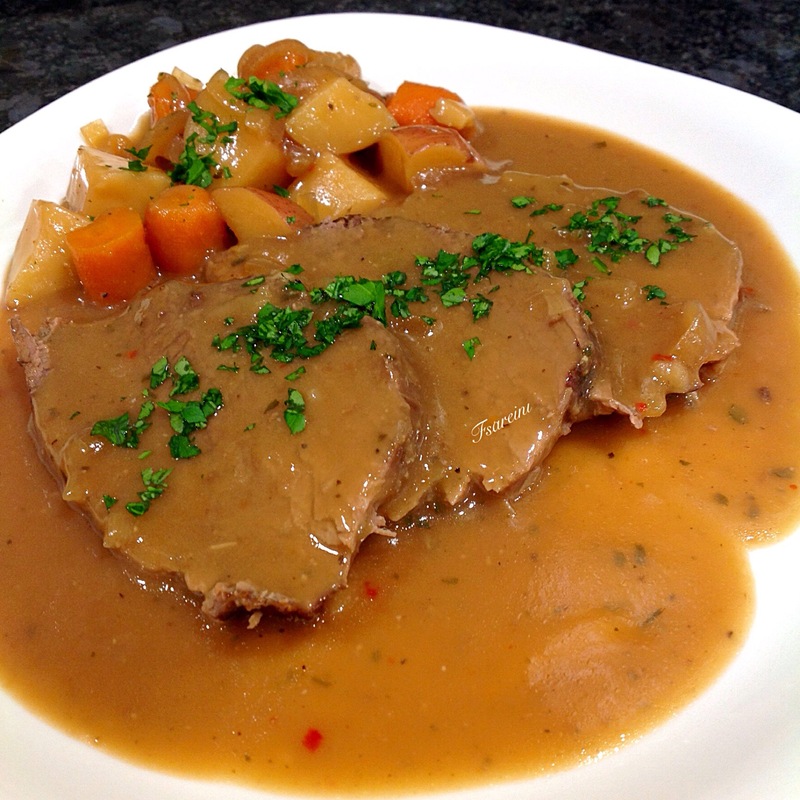 Spoon sauce over meat and potatoes. Enjoy…!